The Manggha Museum opens Yuta Ikehara. Imaginary Spaces, a collection of modern screens decorated with landscapes that turn into abstraction, baroque-like and rich in colours. The exhibition starts on Wednesday, June 6th. The Galicia Jewish Museum presents an ongoing exhibition that interprets the concept of blood and bloodline in the context of the cultural history of Jews. The curator of Blood: Uniting and dividing is Joanne Rosenthal, and the concept author of the exhibition is Abigail Morris, the director of the Jewish Museum London. On Thursday, June 7th at 17:00, The Galicia Jewish Museum will screen the film Kropla Krwi (A Drop of Blood) directed by Tomasz Wiśniewski. The film talks about a false conviction for the ritual slaughter of Christian children. The legend is still present in the memory of some Poles. A movie festival for francophones will take place on June 4-10th in Kino Pod Baranami. An Italian movie screening will take place in Instituto Italiano di Cultura di Cracovia on Wednesday, June 6th: Tu la conosci Claudia? by Massimo Venier. Short Waves on Tour 2018 is a itinerant short film contest with five Polish shorts competing this edition. All of them will be presented with English subtitles on Thursday, June 7th at 20:45 in Kino pod Baranami. Another edition of a recurring ICE Classic concert event: Elīna Garanča. The famouse opera singer will perform in ICE Congress Centre on Saturday, June 9th at 19:00. The Latvian mezzosoprano will be accompanied by Sinfonietta Cracovia and the conductor Karel Mark Chichon. Instituto Italiano di Cultura invites audiences for a theater spectacle CAMMELLI A BARBIANA on June 9th at 20:30 in Scena Supernova. The Miłosz Festival returns to the city on Wednesday, June 6th. This year’s edition will be a real feast for literature lovers: meetings with special guests, translation workshops, discussions, International Poetry Slam, Krakow Book Fair, The Wisława Szymborska Award Gala, a spectacle performed by Open Heart Surgery Theatre, and much more. Thursday, June 7th is Lajkonik Day. 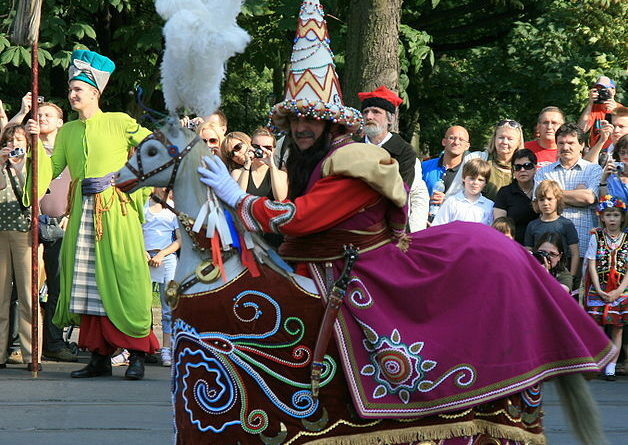 On the first Thursday after Corpus Christi the mysterious horse rider, Krakow’s symbol, will “trot” around the traditional route starting on Senatorska Street at 12:00. 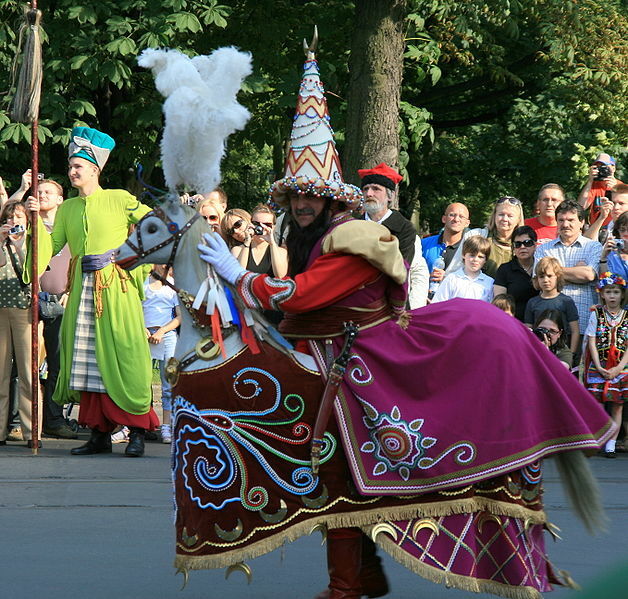 The finale of his march is a traditional dance, “ransom money” paid by Krakow President Jacek Majchrowski, and a toast to the wellbeing of the city and its inhabitants.